Friday’s Top Rank on ESPN card coincides with the one-year anniversary of the launch of ESPN+ – the leading direct-to-consumer sports streaming service. 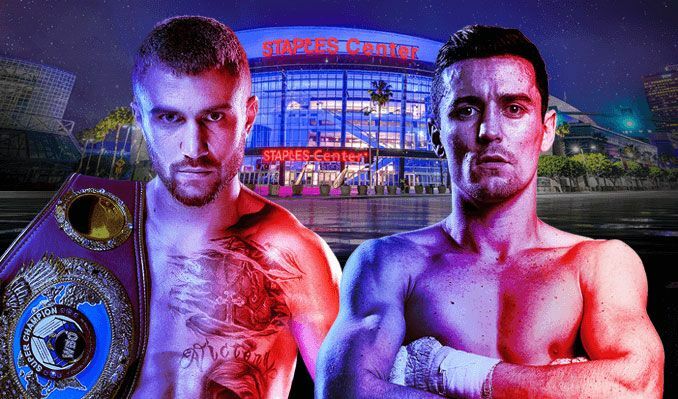 ESPN’s official coverage of fight week kicked off Sunday, April 7, with Countdown to Lomachenko vs. Crolla, where viewers follow rival boxers Vasiliy Lomachenko and Anthony Crolla as they prepare for a must-see world title fight on April 12. See inside the training camp of pound-for-pound superstar Lomachenko as he trains at his home base in Oxnard, Calif., while former world champion Crolla trains to return the WBA title he once held to its rightful owner. ESPN.com will have the fight covered throughout the week with a feature on Anthony Crolla from Nick Parkinson, a unique look at how the world’s best boxing trainers would prepare their fighters to face Vasiliy Lomachenko from Steve Kim and a complete guide to the fight from Dan Rafael. Rafael and Kim will be at the fight offering their unique insight as the action goes down.